It is essential that learning iPhone 5S data backup technology, for it can ensure the safety of your files that you can easily to restore iPhone data from backup. Do not lay emphasis on this problem? I think the iPhone users who have encountered iOS 7 update and blue screen of death could realized the significance of data backup. I won't make you regret to read this article. In the following, I will show you how to backup iPhone 5S file in the order of the title. 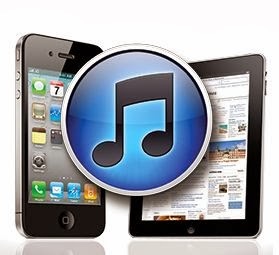 iTunes not only the music play program but also help to manage Apple devices. 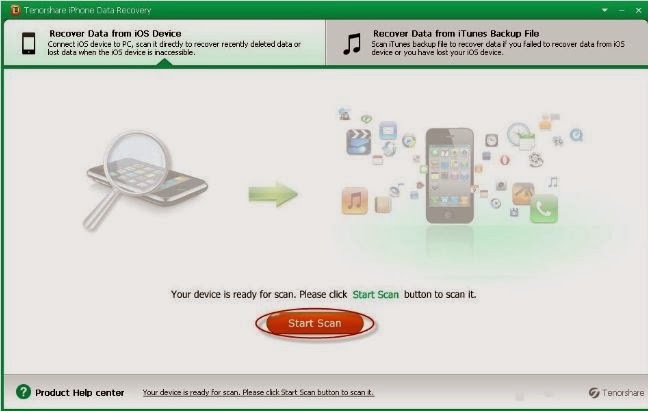 These are step-by-step instructions on how to backup your iPhone using iTunes. 1. Check whether your iTunes version has been update to the latest one by going to Help > Check for Updates. 2. With iCloud is enable you can’t create a backup with iTunes, so you must go to Settings > iCloud > Storage & Backup and turn off the iCloud Backup switch. 3. Run iTunes and connect iPhone 5s to computer. In iTunes, right-click (or Ctrl-click) on your device, which appears in the leftmost pane under Devices. Choose Back Up. Is there any way to backup iPhone data without iTunes? Yes, that’s iCloud. iCloud is the solution from Apple that used cloud-based storage. Step 1: This way need to operate in a networked environment so make sure your iPhone is connected to a Wi-Fi network. 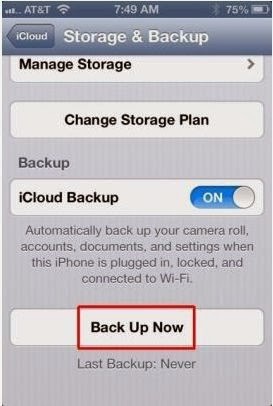 Step 2: Go to Settings > iCloud > Storage & Backup. Step 3: Tap Storage & Backup, then Back Up. Every time you update the backup in iTunes, the old backup will be covered, and the iCloud backup is limited, then iPhone Data Recovery program is the smart way that helps you backup iPhone data to the computer perfectly and without limits. The process is very simple. First, you need to download iPhone Data Recovery and install it on your computer. Connect your iPhone 5S with computer and click “Start Scan”. When the scanning is over, you can choose the files you want to backup and click “Recover” to save them on your computer. Thanks for reading,and stay tuned for more techniques of iPhone 5S data recovery, as well as iPhone 5S tricks.